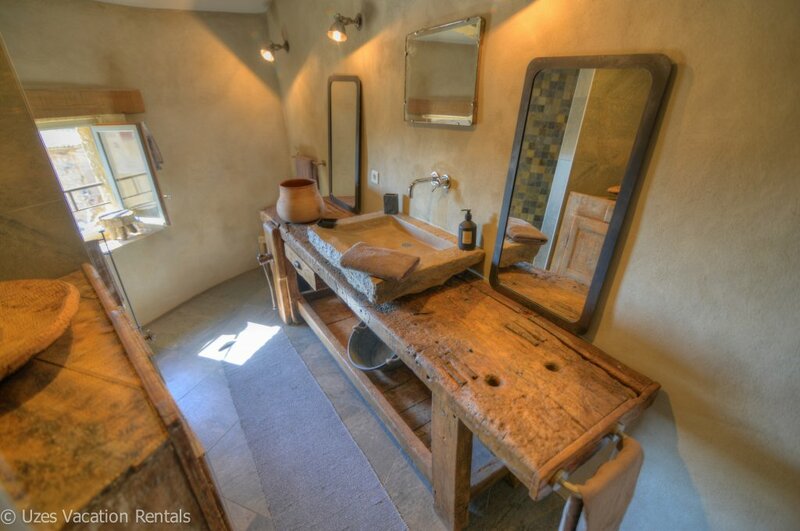 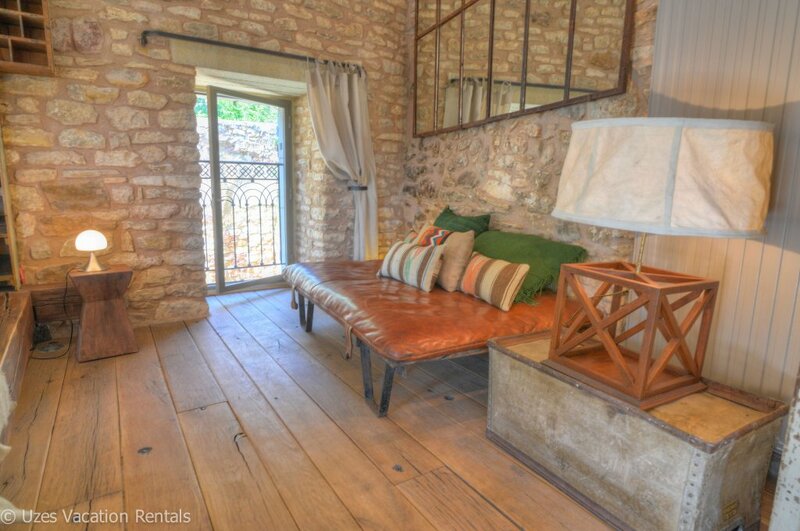 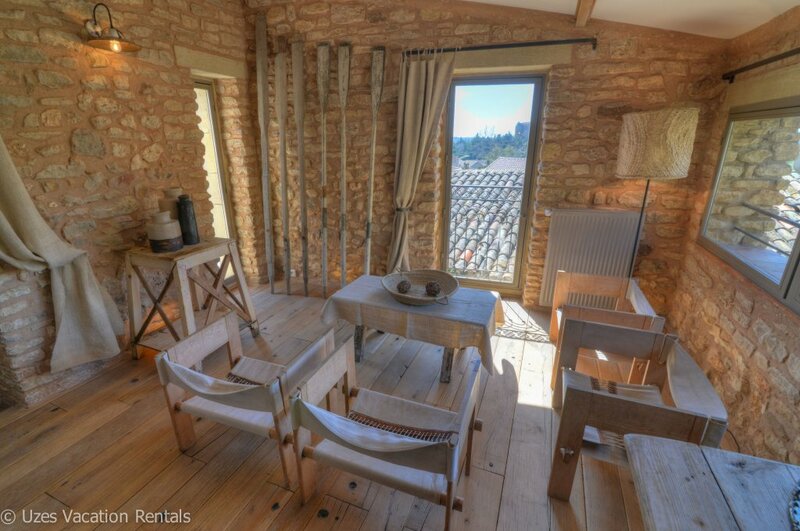 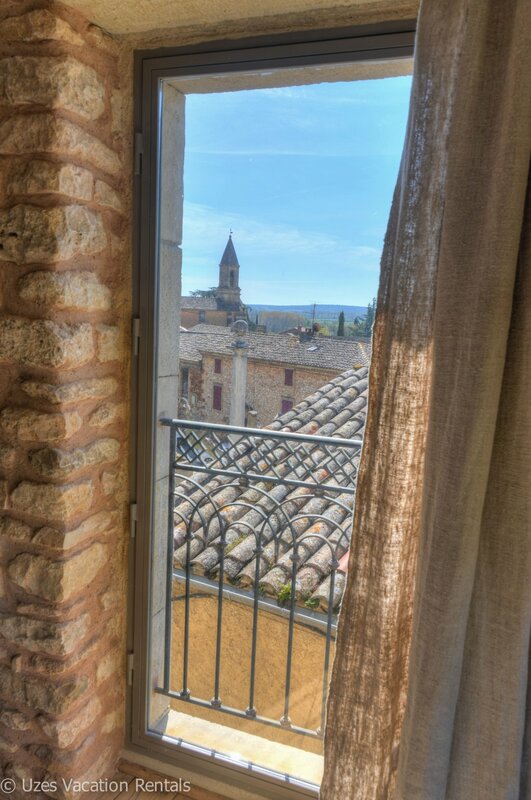 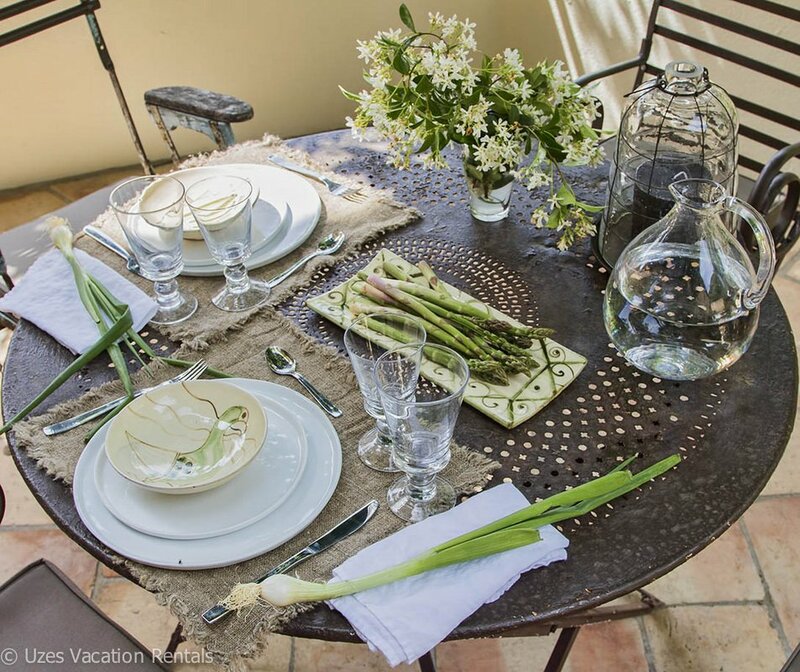 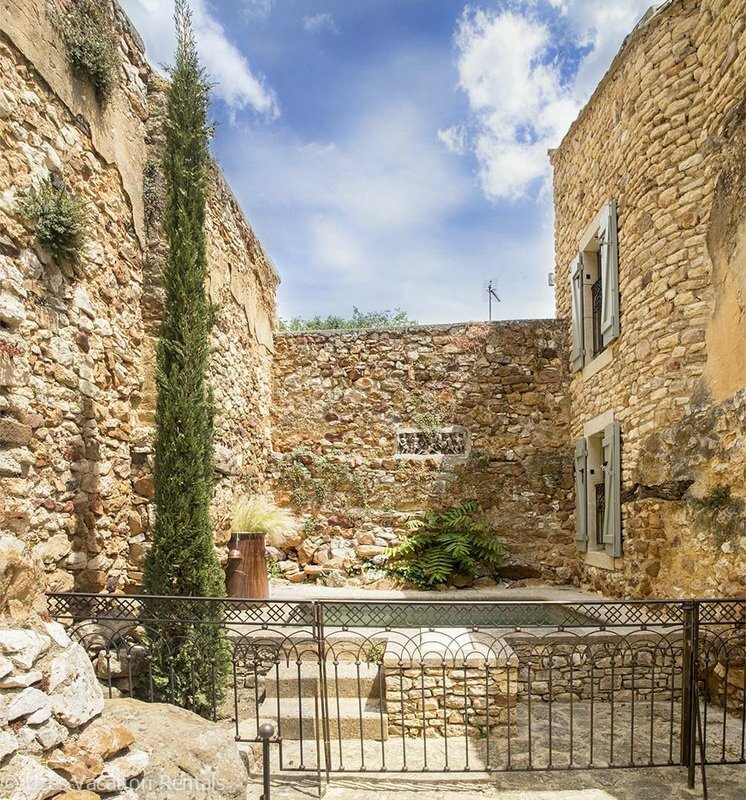 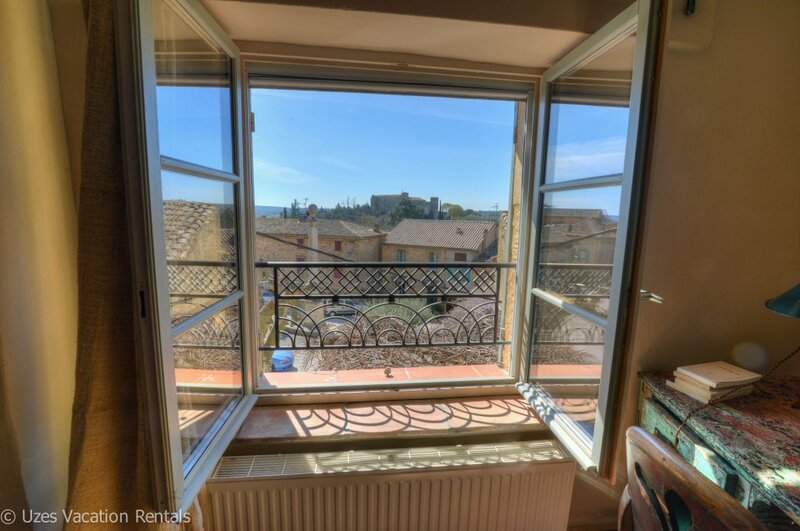 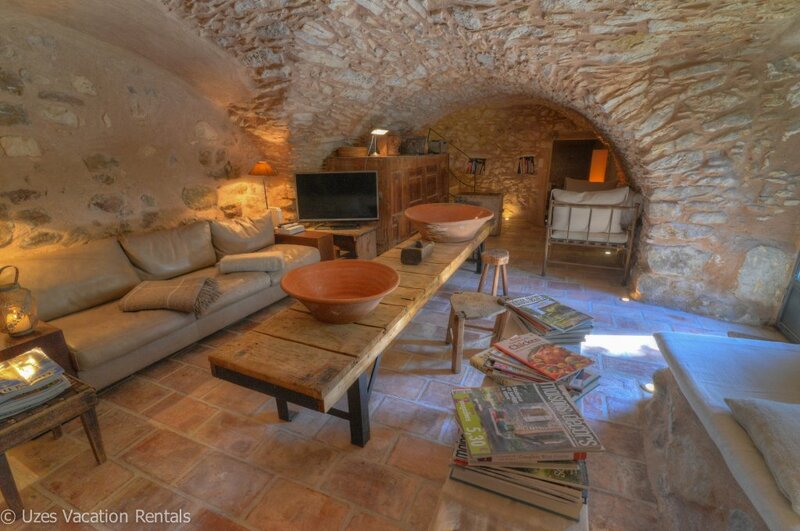 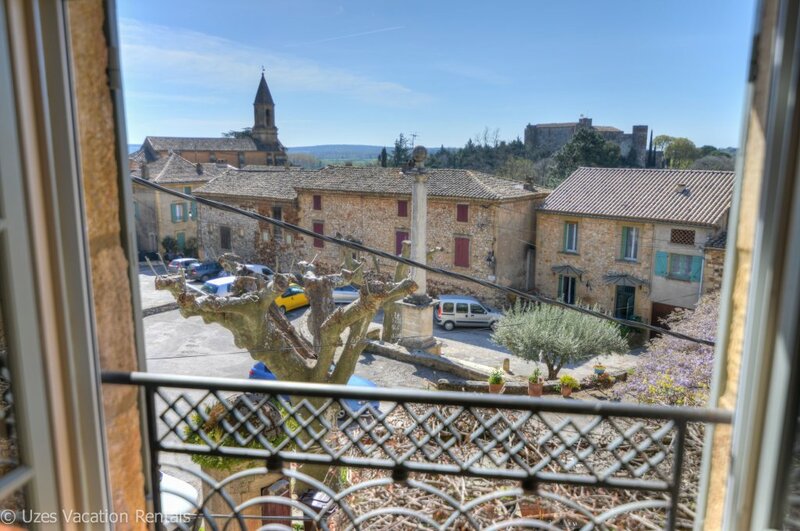 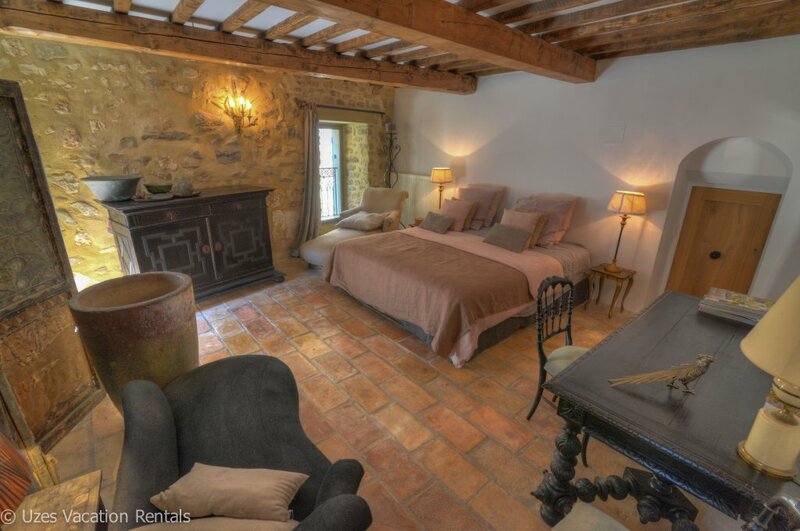 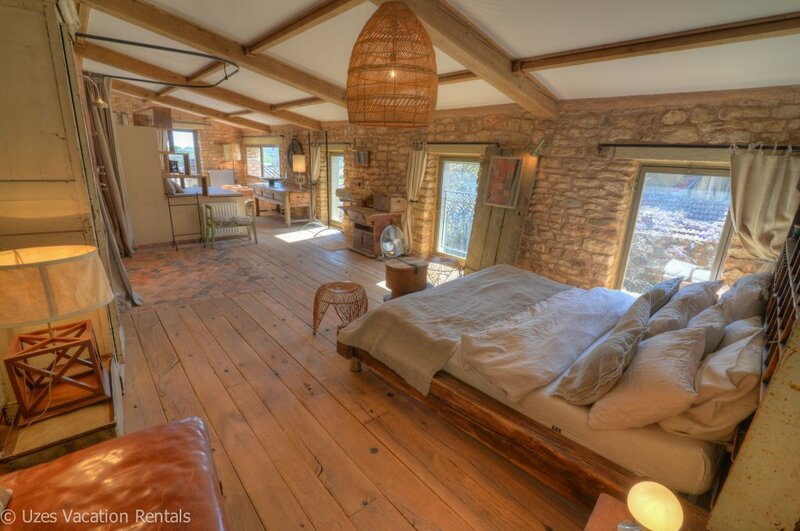 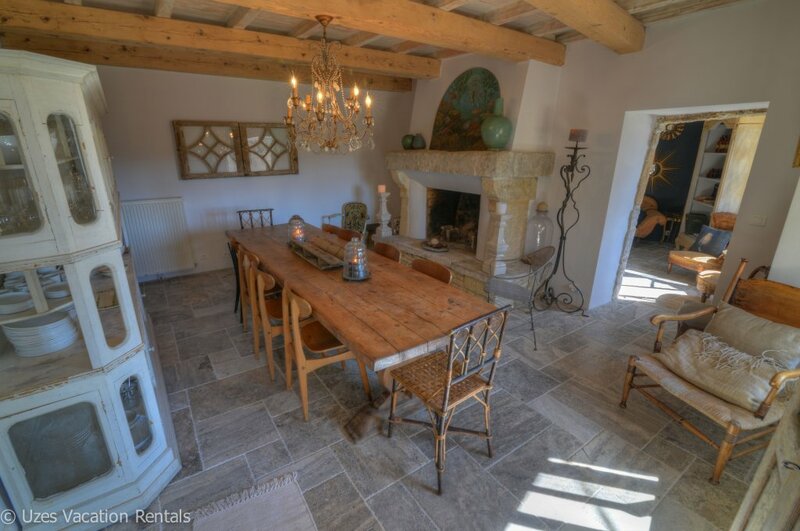 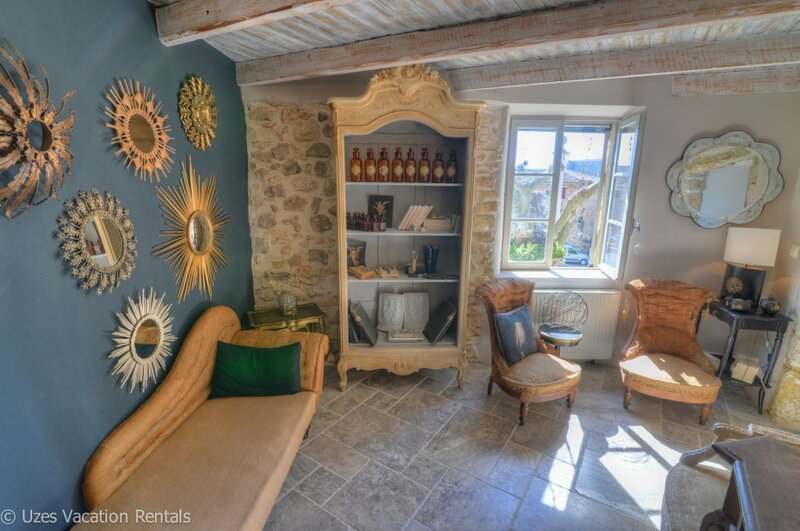 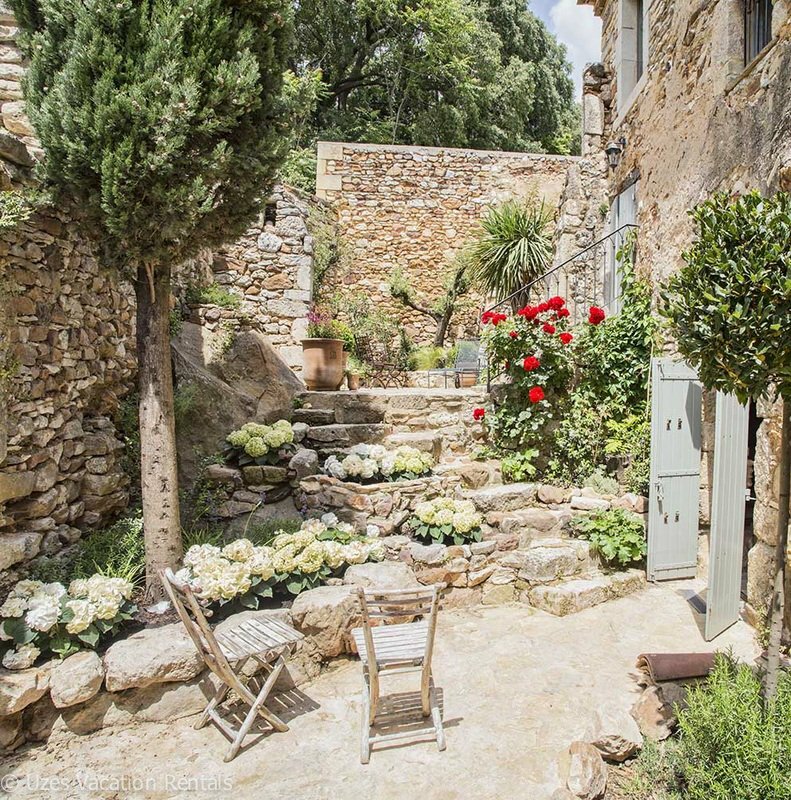 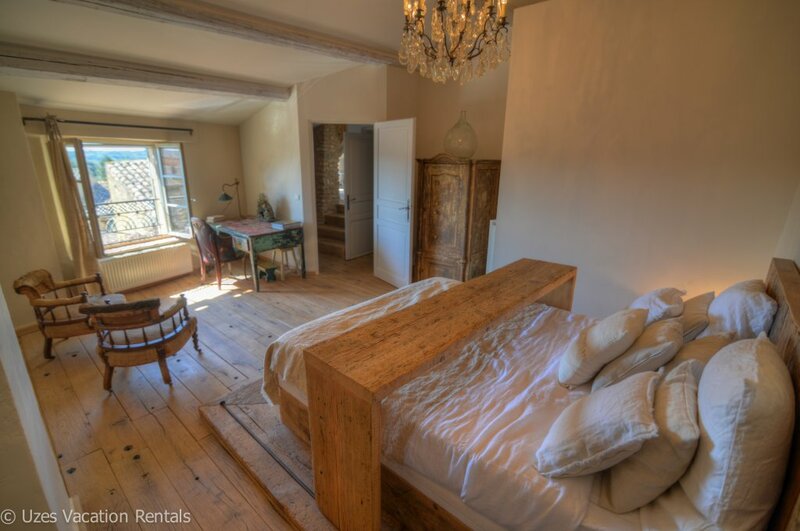 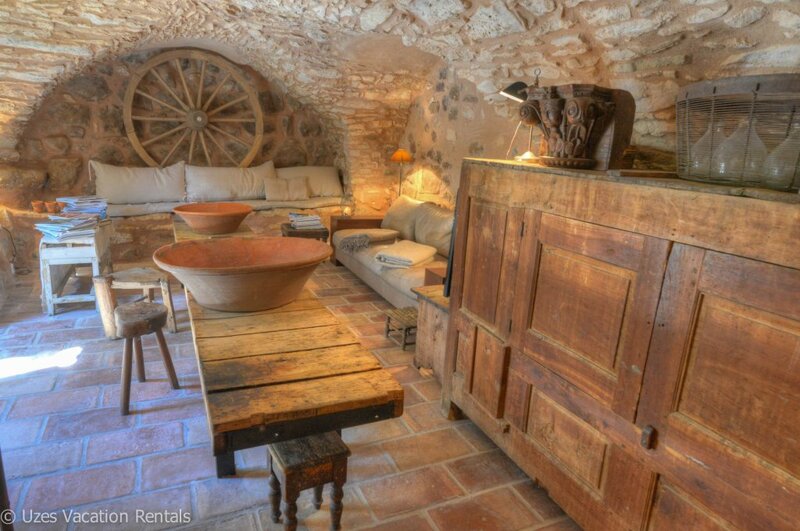 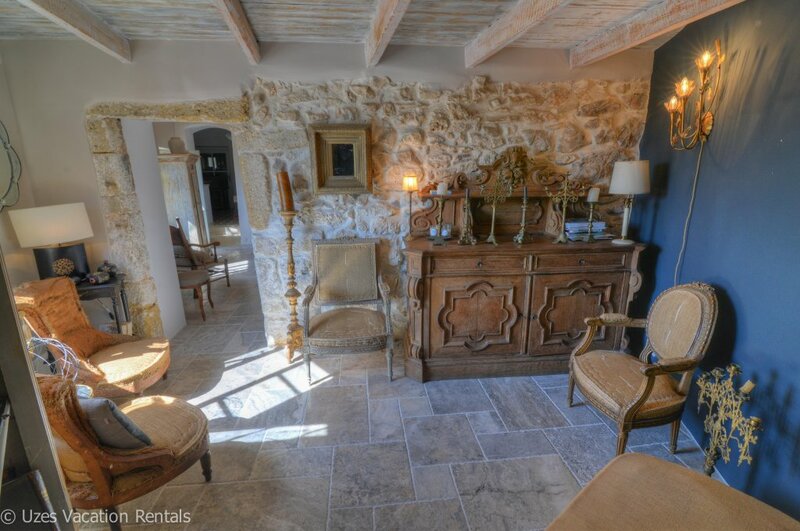 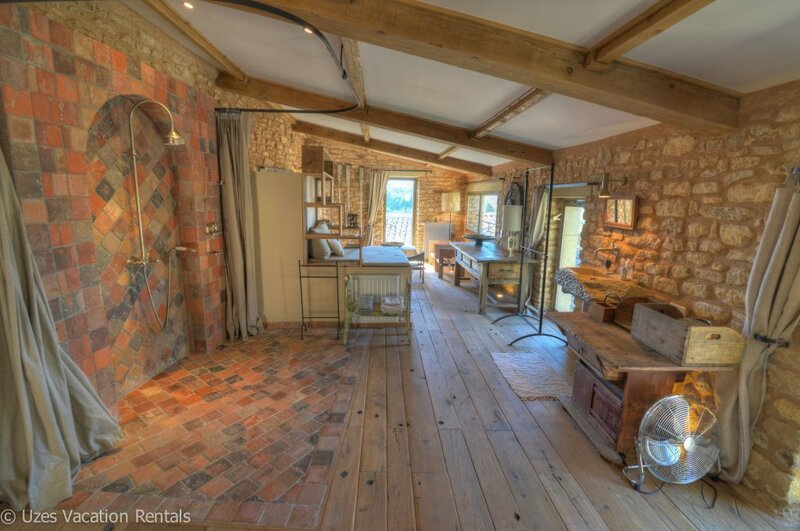 Located in a lovely old village near Avignon, this home is composed of two 100+ year old stone houses. 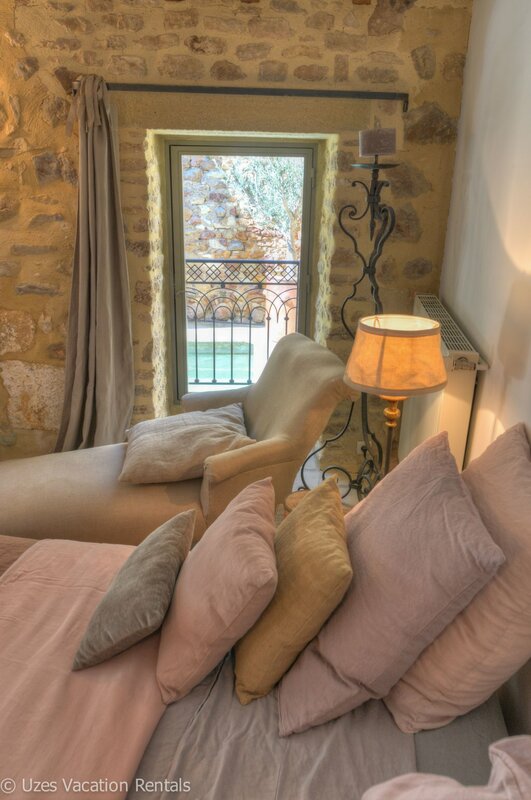 The thoughtful renovation has taken advantage of the provençal style and idiosyncrasies of the original structures, while adding all the modern necessities needed for enjoying a comfortable stay. 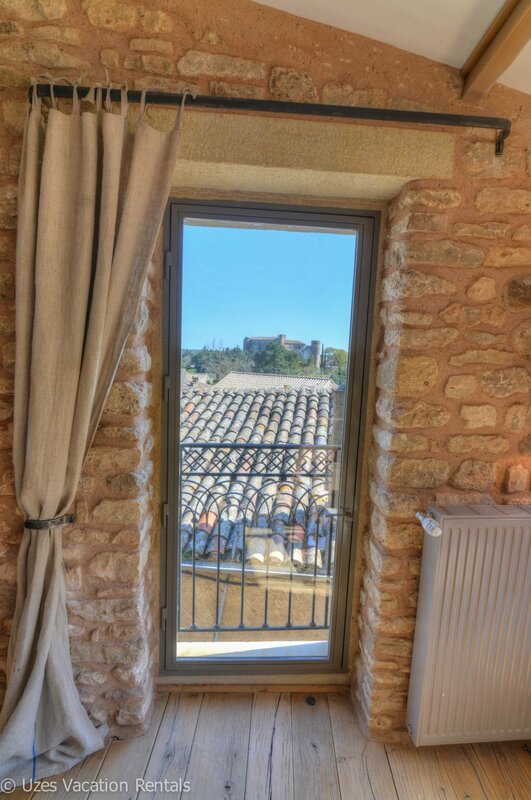 There are 3 stories with 2 large bedrooms plus a spacious loft/master suite, thus the house is suitable for 3 couples/singles or a family. 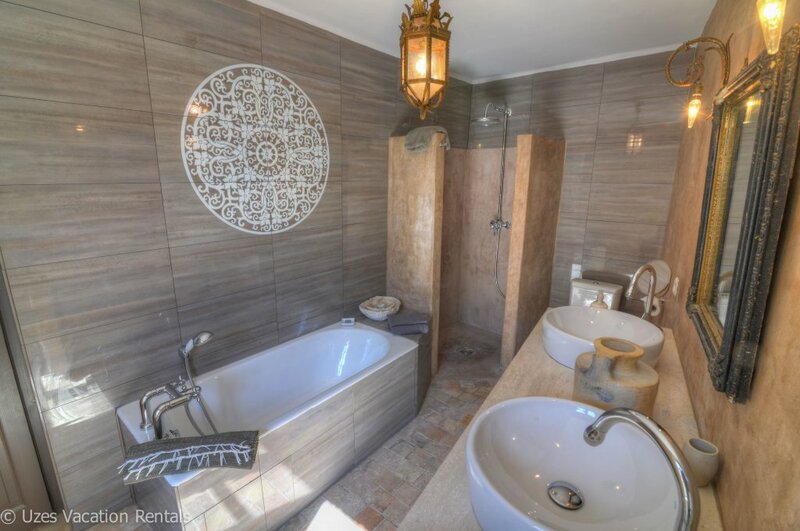 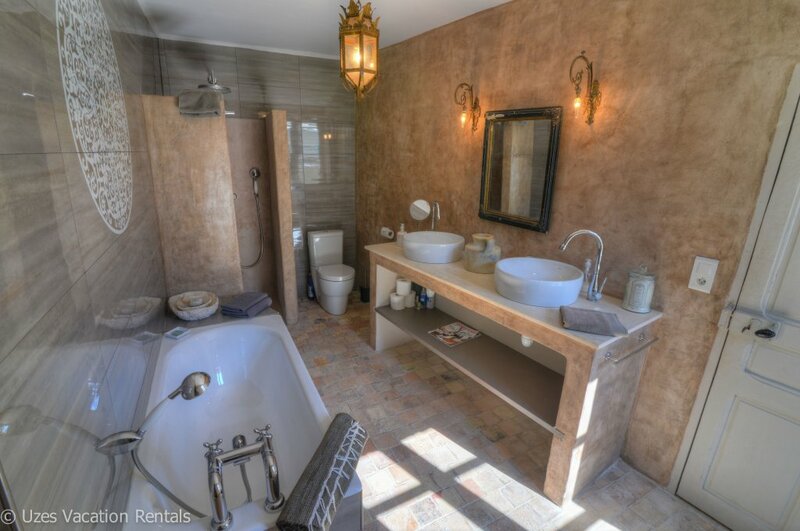 All 3 rooms have separate ensuite bathrooms. 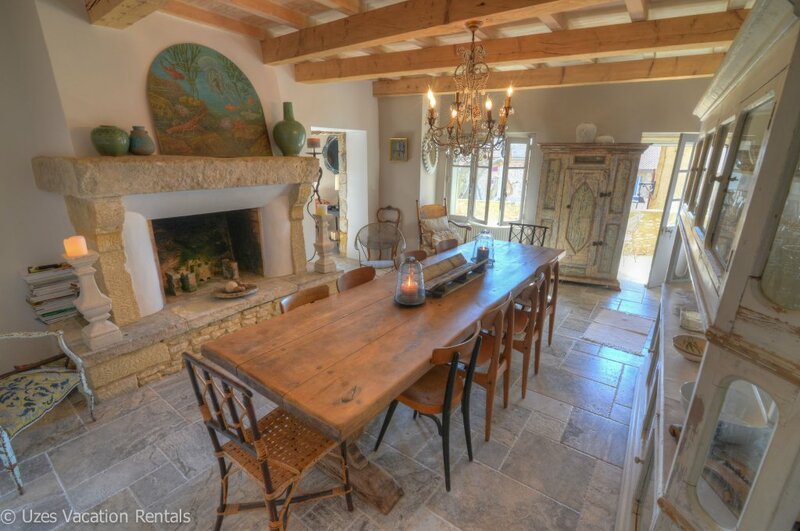 There is plenty of room for lounging and relaxing inside in the 2 living rooms or large dining room. 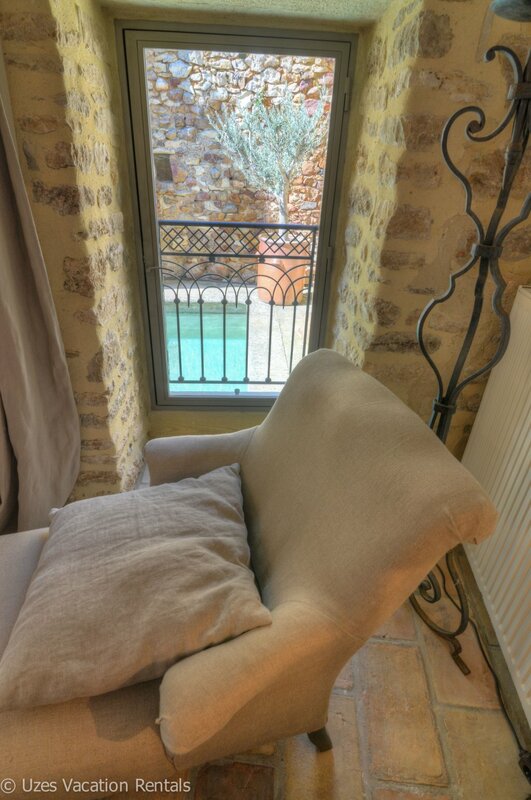 The downstairs living room is very pleasant in the summer as it keeps cool in the warmer months. 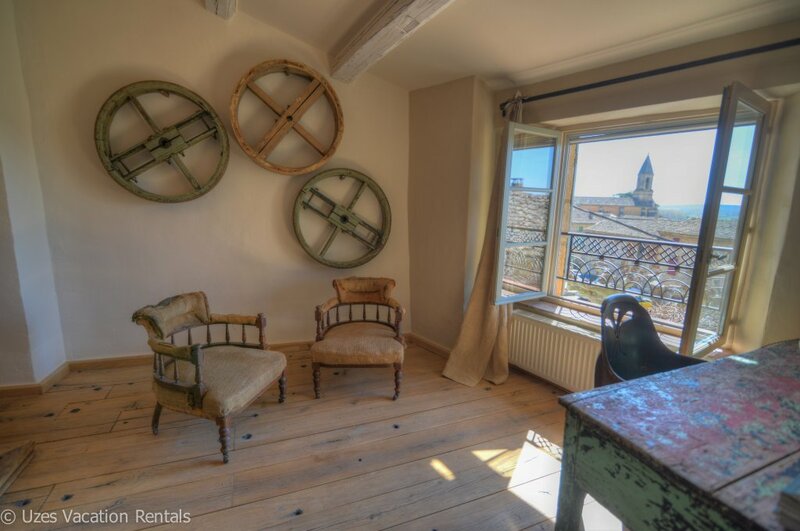 This is also where the television is set up. 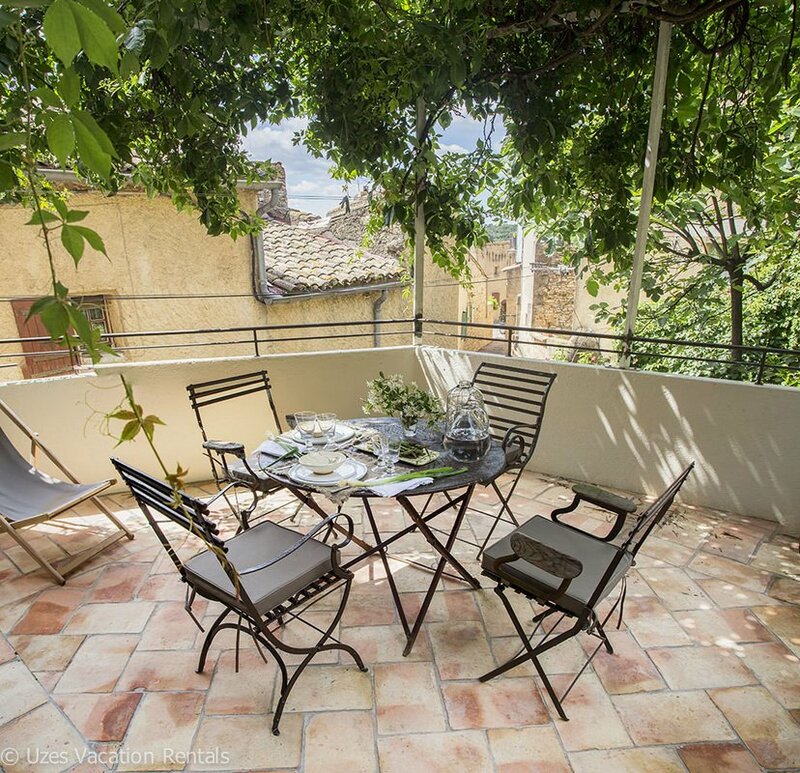 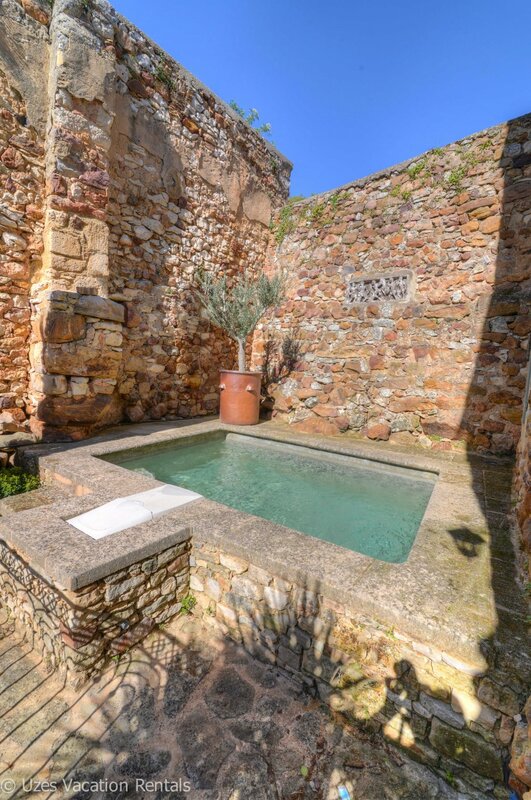 Outside, one can eat or read on the balcony or by the plunge pool in the charming garden. 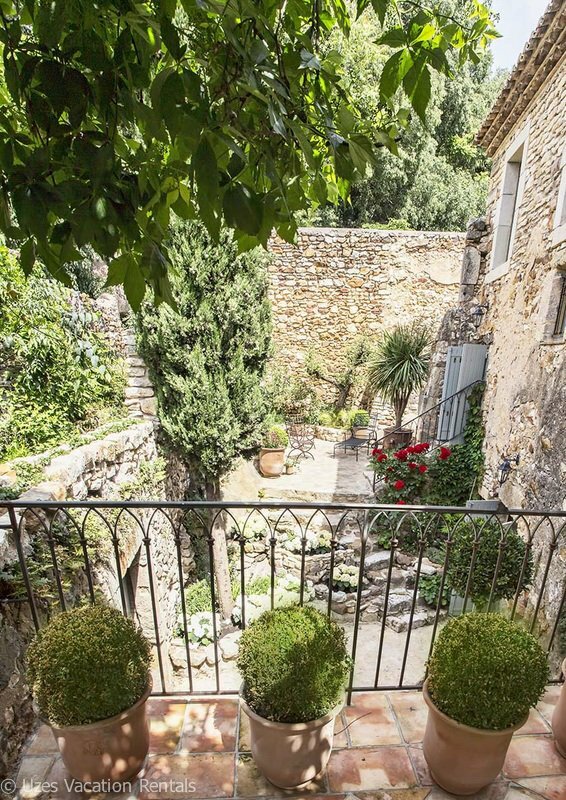 The garden is beautifully landscaped with flowers and plants that are native to the South of France. 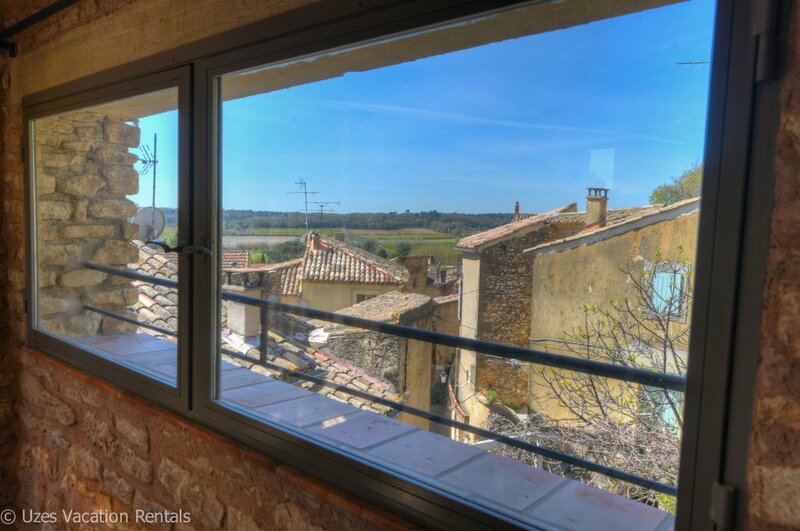 There is a small balcony in the front of the house, where you can enjoy a glass of wine while watching the slow village life. 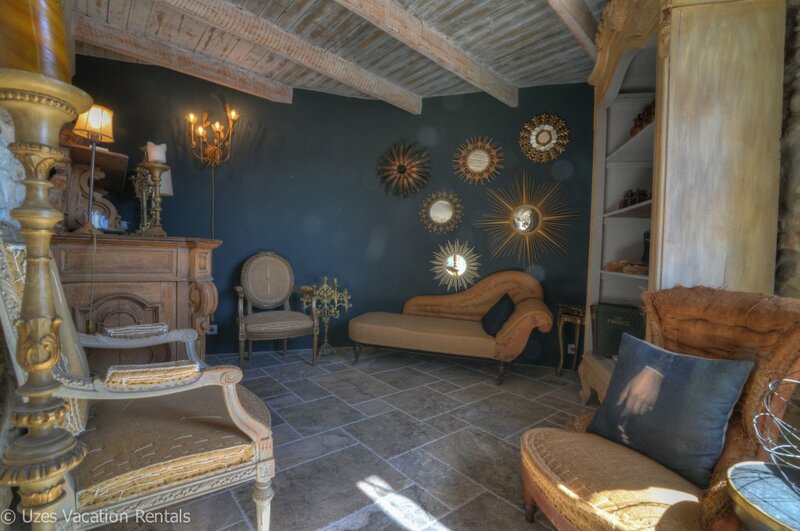 Anyone who appreciates real style will be enchanted by the beauty of this home. 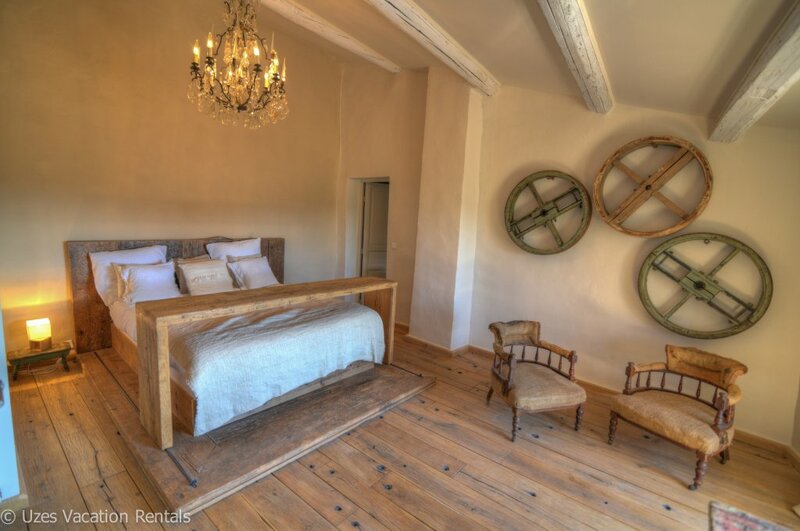 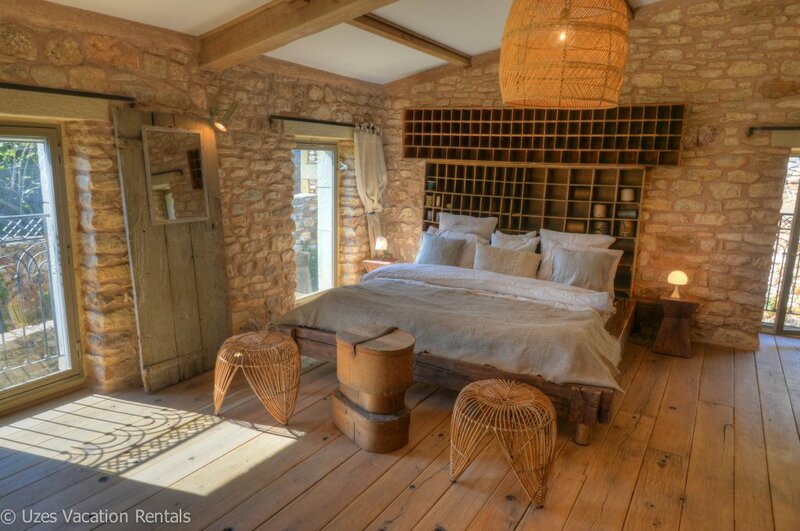 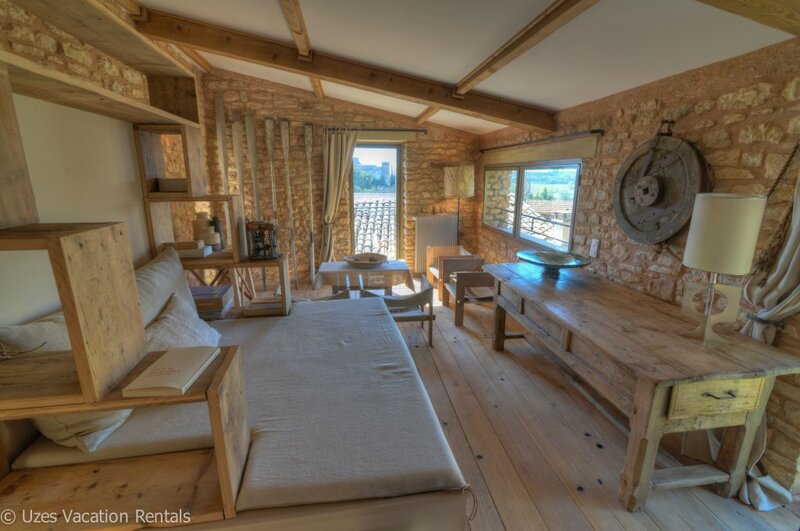 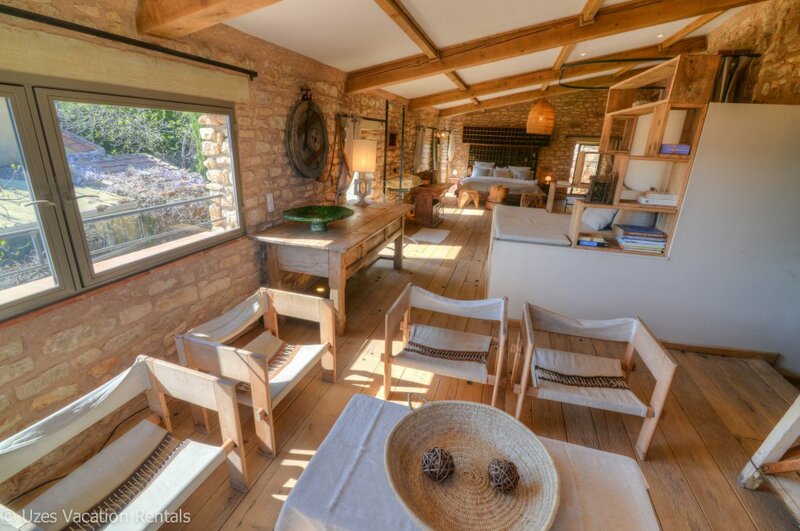 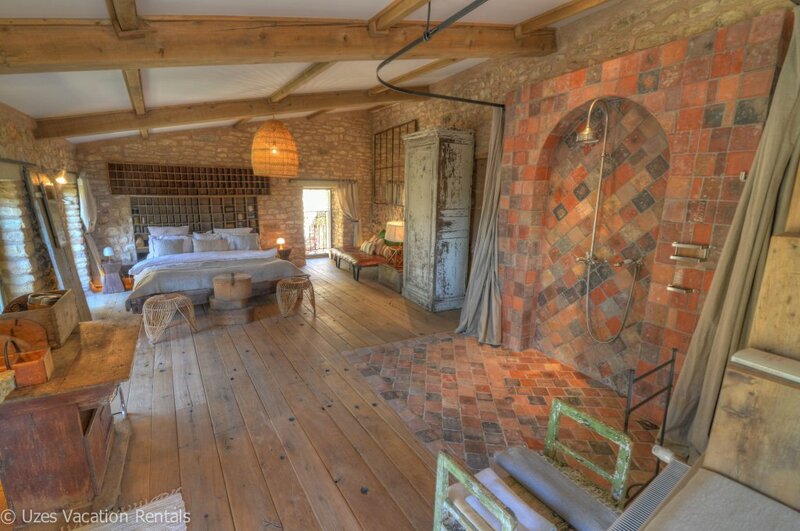 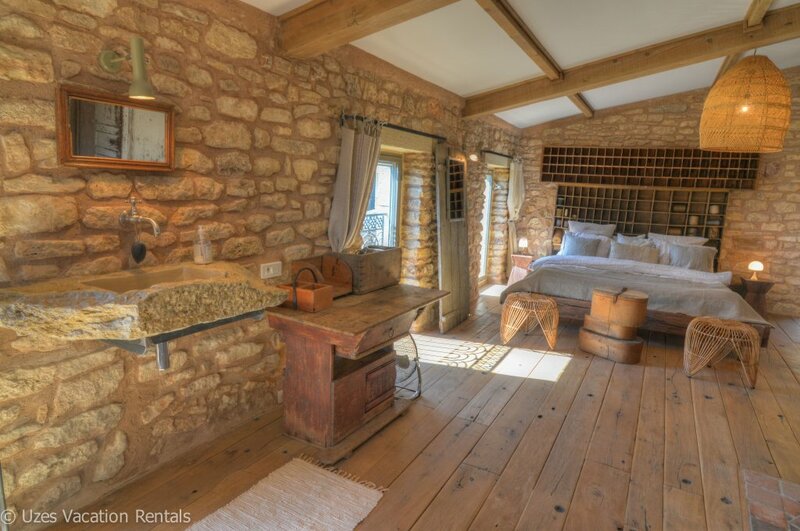 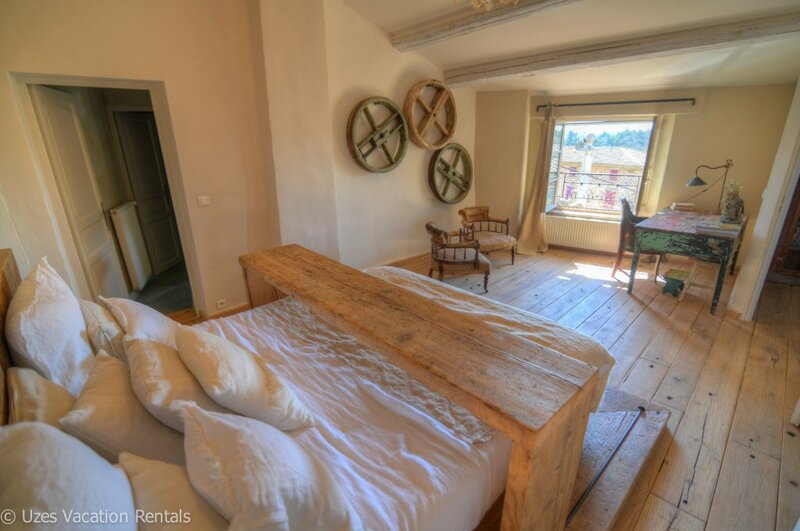 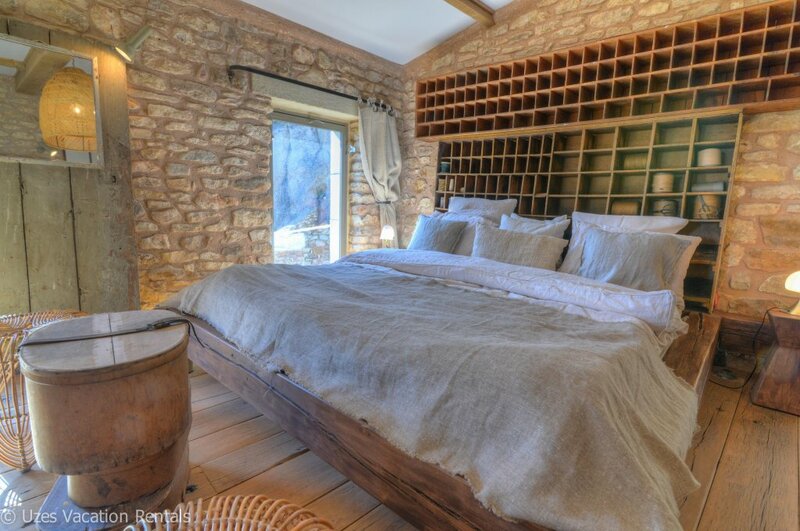 Every room has been carefully decorated with a mixture of provençal, rustic chic and modern furnishings and accessories. 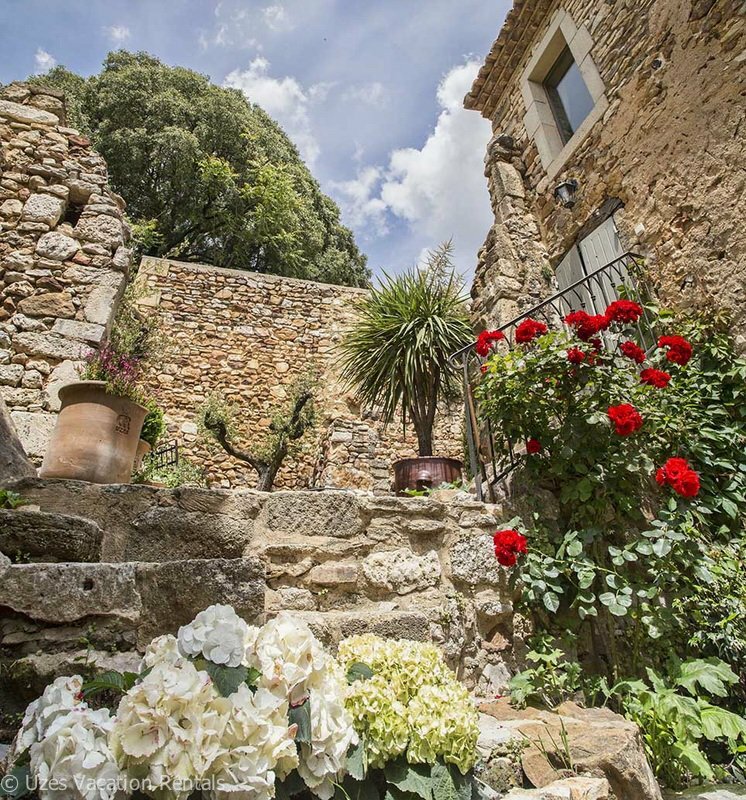 The result is a magical place to spend your vacation! 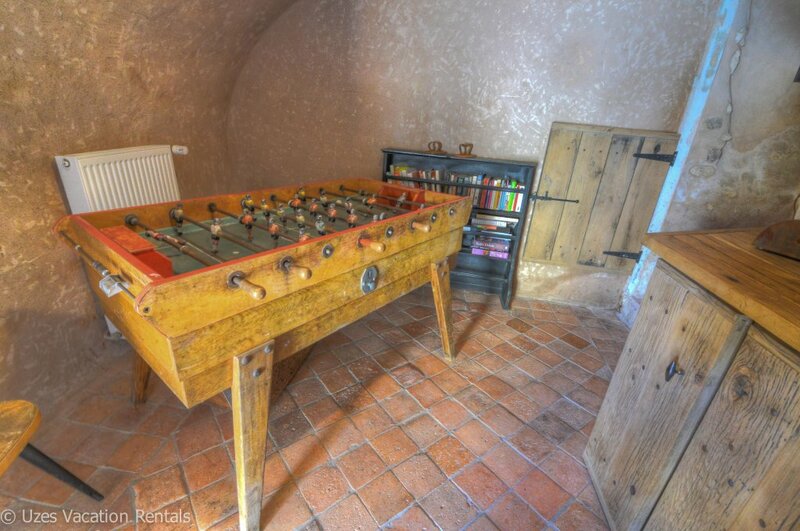 Absolutely no pets or smoking inside. 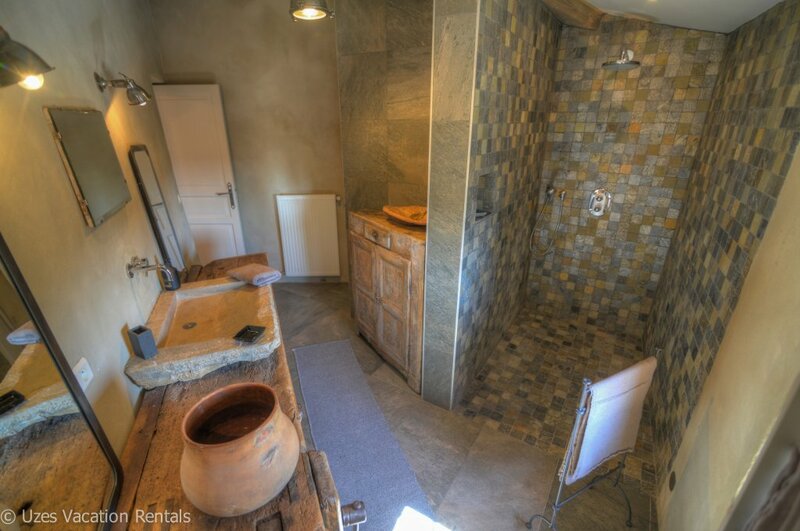 Cleaning fee 165€ due on arrival. 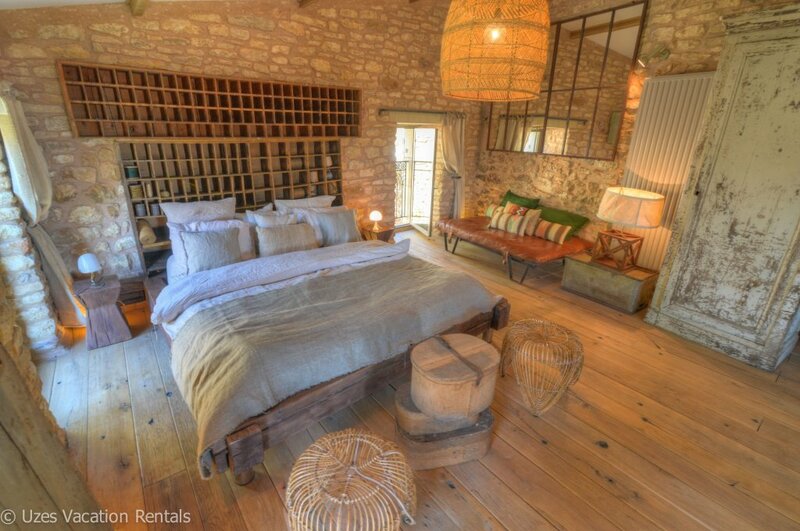 Included: Sheets, bath and pool towels, kitchen towels.